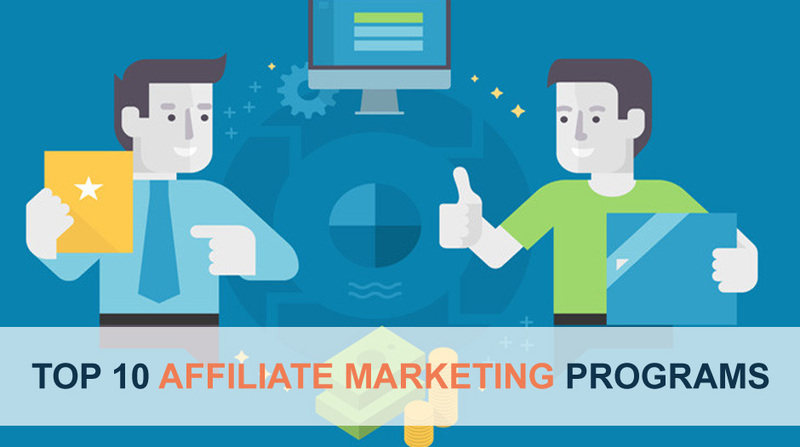 Although there are thousand of affiliate programs in every niche but here I am recommending you the top 10 affiliate marketing programs that can help you earn handsome commissions. Clickbank is one of the biggest marketplaces of digital products. Since its foundation in 1998, it is growing every day. This portal is a bridge between affiliate marketers and digital content creators. Being enormously popular across the globe, it is still an entry point to industry for numerous merchants. Established in 2008, JVZoo is the next most popular affiliate platform after Clickbank. It is a huge marketplace for merchants who want to make money online by selling digital goods such as eBooks, apps, softwares, plugins, etc. But, the only drawback of this platform is that affiliates need to get themselves approved by sellers before they start promoting their products. This eCommerce giant doesn’t need any introduction. This largest internet-based retailer has its own affiliate network well-known as Amazon Associates. It is a Pay Per Sale (PPS) affiliate program wherein you can choose from millions of products to monetize your blog or website. Established since 1995, eBay is an American MNC and biggest eCommerce retailer after Amazon. Alike Amazon, they also have their own affiliate network that offers you an opportunity to earn money. It’s so simple to get started with eBay affiliate program which is known as eBay Partner Network. Shareasale is a Chicago-based affiliate marketing network which is a leading provider of performance marketing solutions since the year 2000. The program is also popular because of its business transparency, quality products, and good commission. Shareasale offers both Pay Per Lead (PPL) & Pay Per Sale (PPS) programs. Rakuten LinkShare is the biggest pay-for-performance affiliate marketing network over the internet today. Established in 1996, the company offers a great opportunity to bloggers and internet marketers to boost up their online business. Their clientage includes of world’s popular brands like Walmart, Sportscraft, Macy’s and Viator. Previously known as Commission Junction, CJ Affiliate by Conversant is another top level affiliate network that specializes in pay-for-performance programs. Founded in 1998 and owned by Conversant, Inc., it is one of the most popular online advertising companies in the United States. Max Bounty is industry’s leader in CPA (cost per action) affiliate marketing network. It is a performance marketing network that acts as a bridge between affiliates and advertisers on CPA basis. The company pays commissions to affiliates on a weekly basis and holds good repute in industry. PeerFly is a fastest growing CPA affiliate network. It is associated with popular brands like Dell, Disney, Johnsons, Apple & Netflix. It gives a good opportunity to succeed in your online business. Accepting publishers from all across the globe, PeerFly offers thousands of merchant programs. Promoting digital commerce since 2006, Avantgate has grown tremendously in past few years. Avangate is an enterprise software company that offers premium affiliate network for digital goods and services for global distribution.